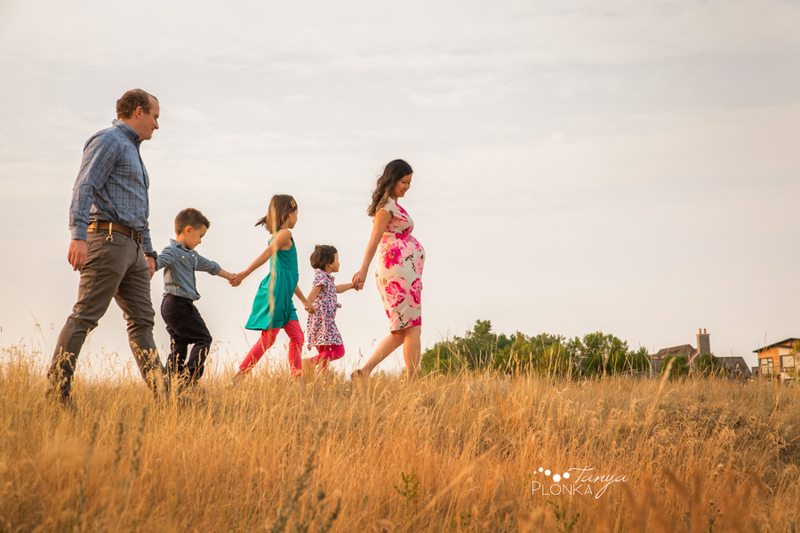 I met Melissa’s family a few years ago when they were expecting and now I was excited to hear baby #4 is on the way! 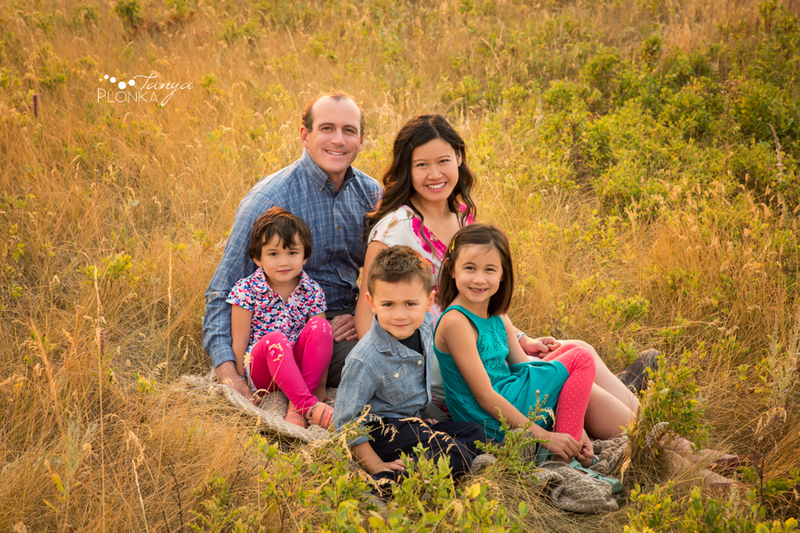 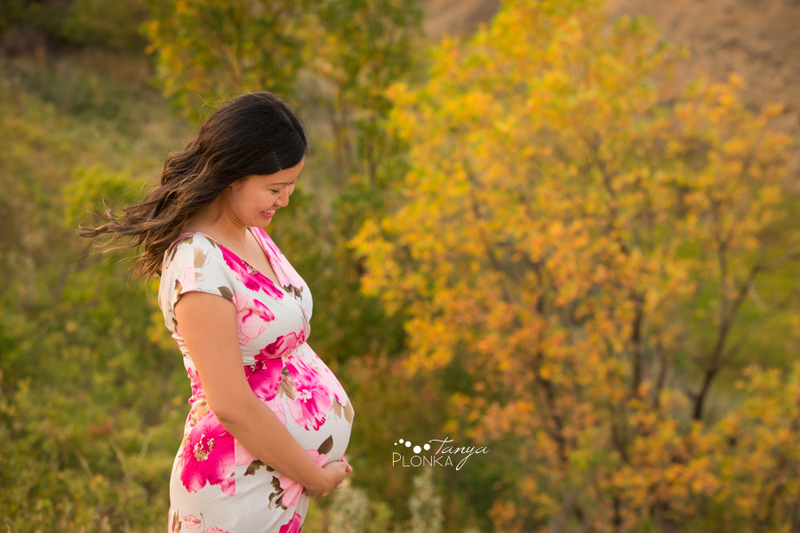 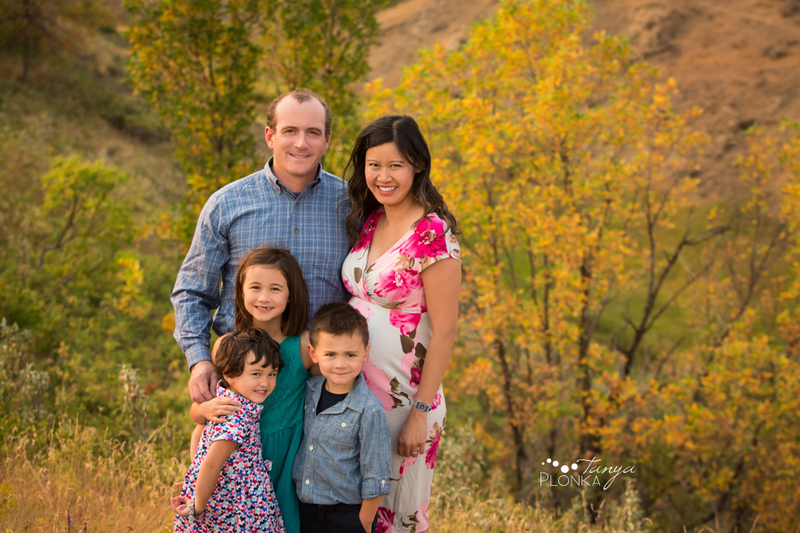 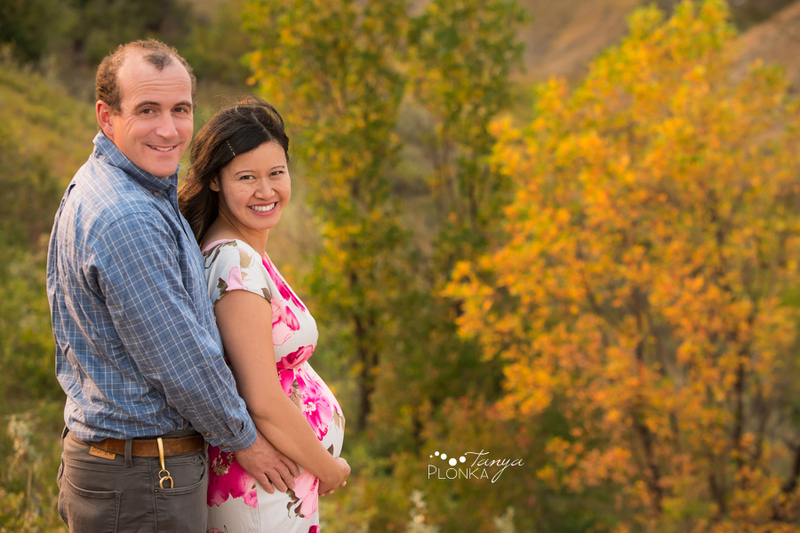 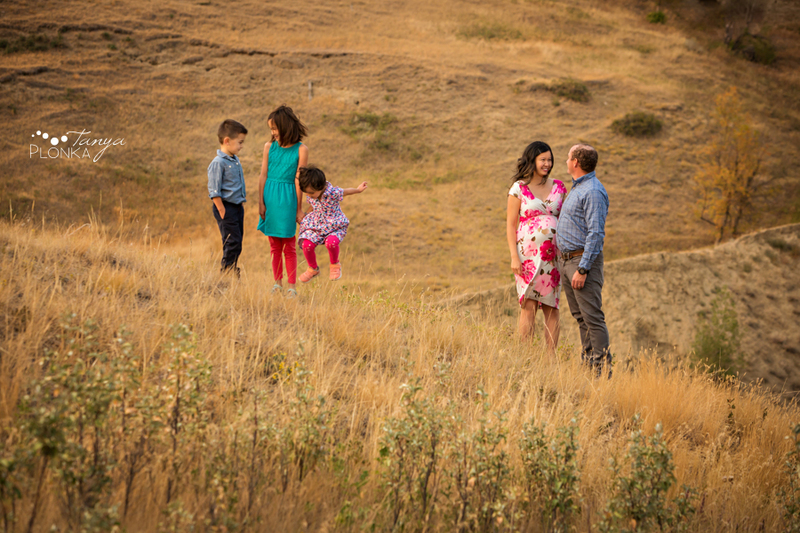 We went for an adventure in the beautiful landscape where the kids often play near their home for their Lethbridge coulee maternity family photos. 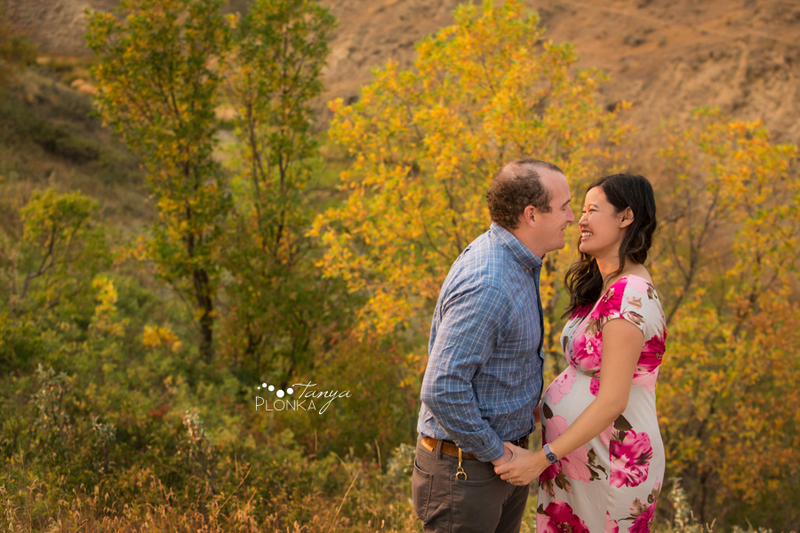 Even though it wasn’t technically autumn yet, everything had such a beautiful golden glow! 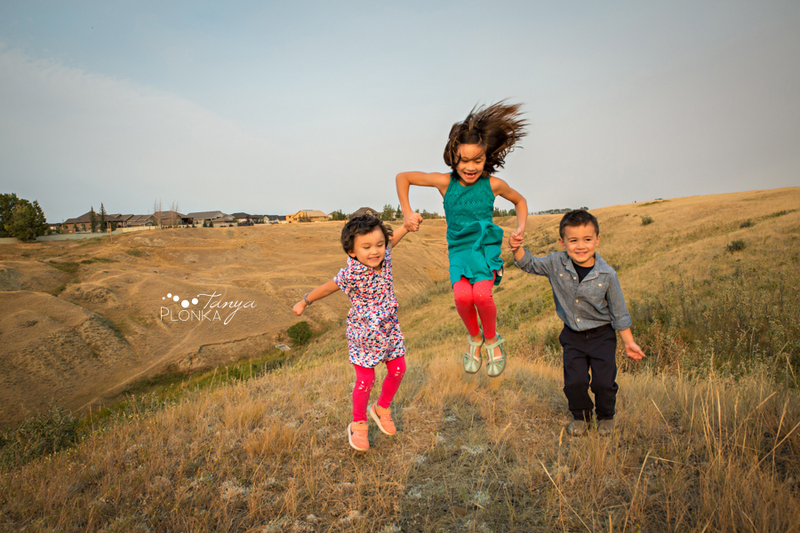 The three children have so much fun together skipping, jumping, and searching for insects in the grass. 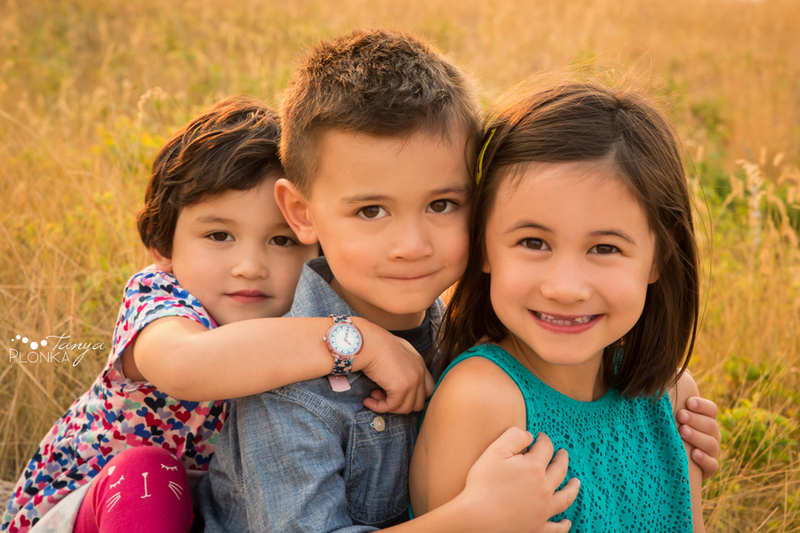 They’re going to love having a new friend to go exploring with! 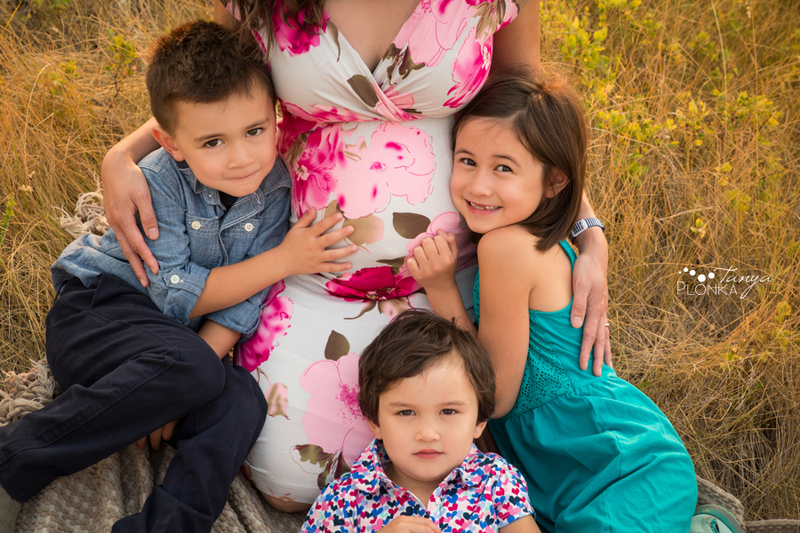 I love that Marrella decided to jump in this photo! 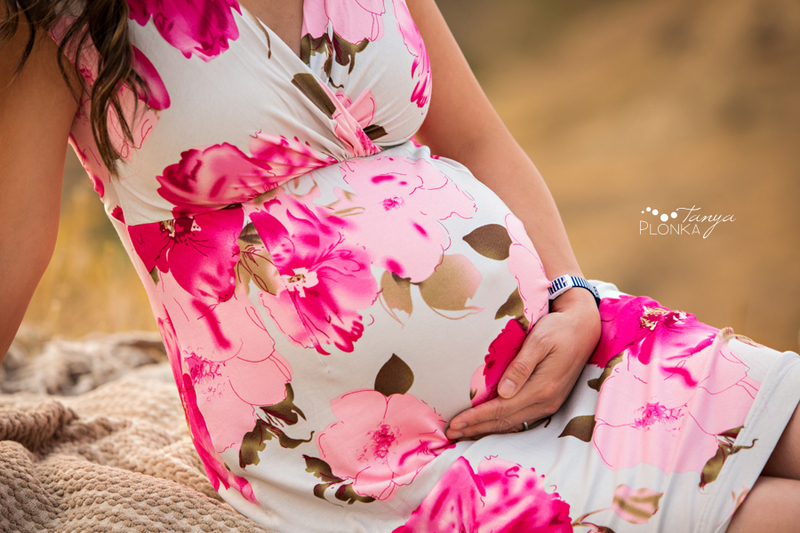 Are you also expecting an addition to your family? 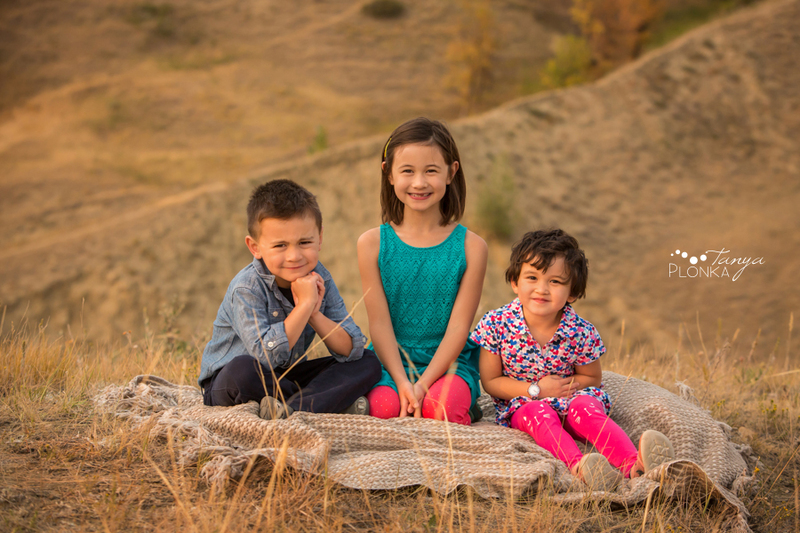 Check out the portrait experience I offer!